Asian distributor Innovix has upgraded key infrastructure at the company's Singapore solution centre with equipment provided by long-time partner Vertiv. The converged infrastructure solution, provided by Vertiv, will enable the distributor to better support customer requirements through a small footprint modular data centre environment with live demos and visits. "After much consideration, we decided to invest in a Vertiv SmartRow solution as it caters to the range of demands we need,” said Ang Wee Lee, director of product marketing at Innovix. Headquartered in Singapore with more than 500 staff, Innovix has operations in Hong Kong, Macau, Singapore and Malaysia among others. In carrying more than 80 technology and lifestyle brands, the distributor servers more than 5,500 channel partners and 500 point of sales (POS) across three countries. 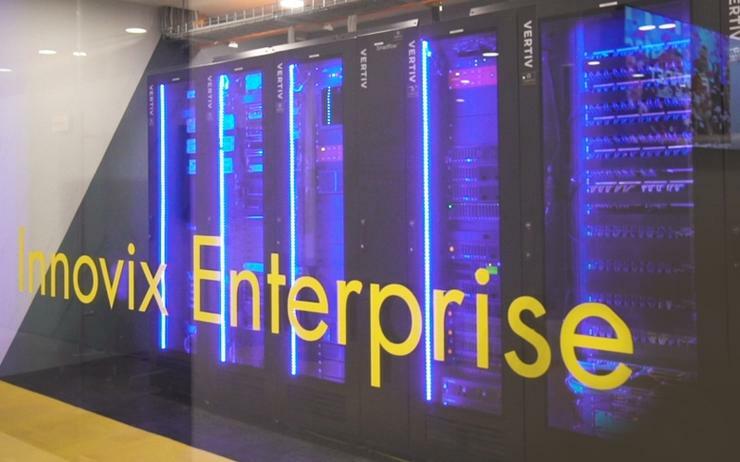 The Singapore solutions centre, which opened in February 2018, required a self-contained integrated data centre to let channel partners and customers see and experience solutions in real-world operation. "The launch of Innovix’s new showroom is a testament to the strong relationship between our two companies, and we look forward to many more years of partnership in the future,” said Daniel Sim, senior director of channel business at Vertiv in Asia. Specifically, Vertiv provided its SmartRow 2+6 range meeting Innovix’s requirement for a complete modular data centre, incorporating power protection, thermal management, monitoring and control technologies and cable management, with room for future expansion. "The Vertiv 2 + 6 setup is a full containment setup with the racks protected by glass in the back and front," added Alvin Cheang, senior manager and head of IT and edge infrastructure at Vertiv in Asia. "It features a cooling unit and a touch screen monitoring system, and houses entirely within the suite IT solutions like ICT storage and a hyper-converged network." Fast deployment, ease of management and lower total cost of ownership were some of the benefits noted by the Asian distributor. The solution centre is used for a variety of purposes including conducting training for the distributor's partners, in addition to solutions demos or proof-of-concept to customers.